1. A succesful demonstration and a promising “alterglobalist” movement! 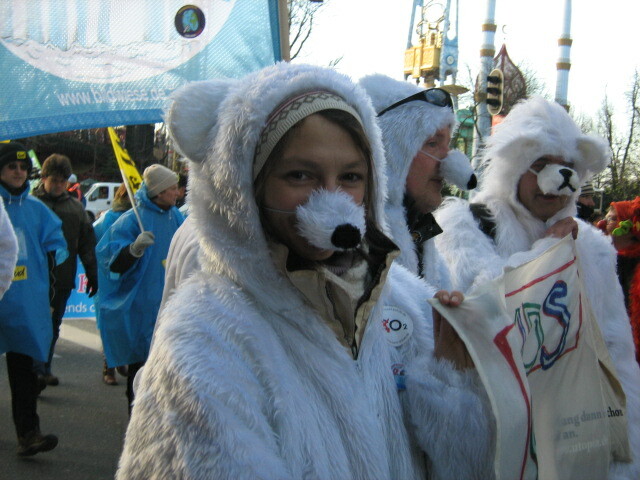 The international demonstration of December 12 was a success. 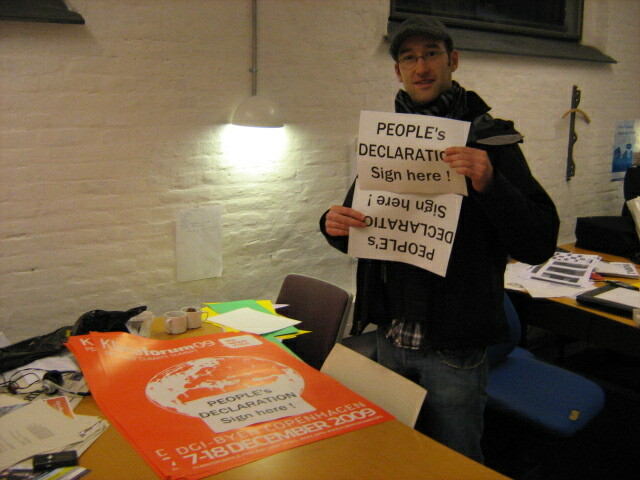 More than 100,000 people from all over the world joined this unitary mobilisation action. Altogether, 538 organisations from 67 countries answered the call. 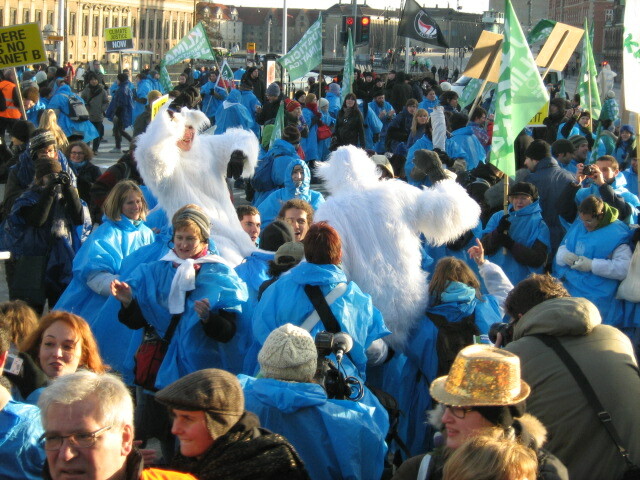 Under an enjoyable (a welcoming) sun, the colourful procession and its bicycles (as it is the custom in Denmark) went to the Bella Center, where the official negotiations are taking place. 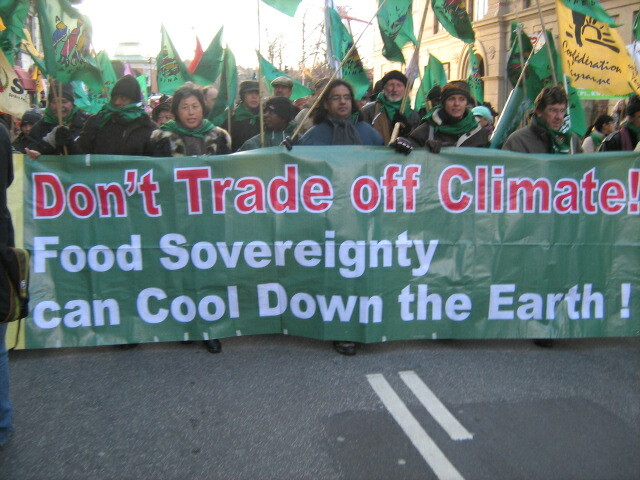 Many radical catchphrases could be read on banners and placards, around the following idea: “Climate Justice means System Change not Climate Change”. 2a. System Change – not climate change: Klimforum declaration ready to Sign-On! 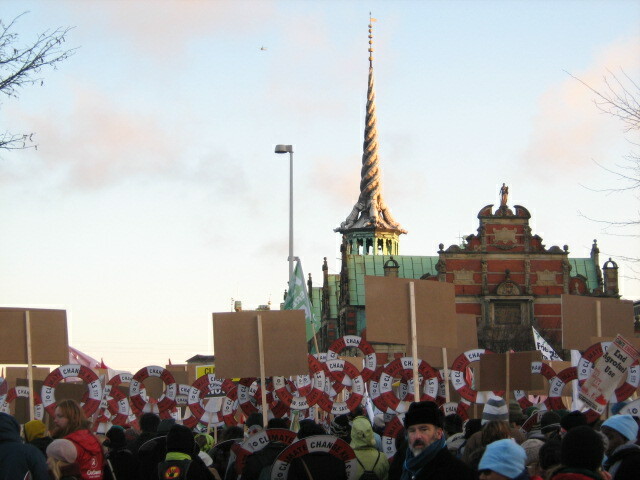 There has been problem for many international organizations to understand the realities of Danish political culture and how Danish organizations and actvism looks like. 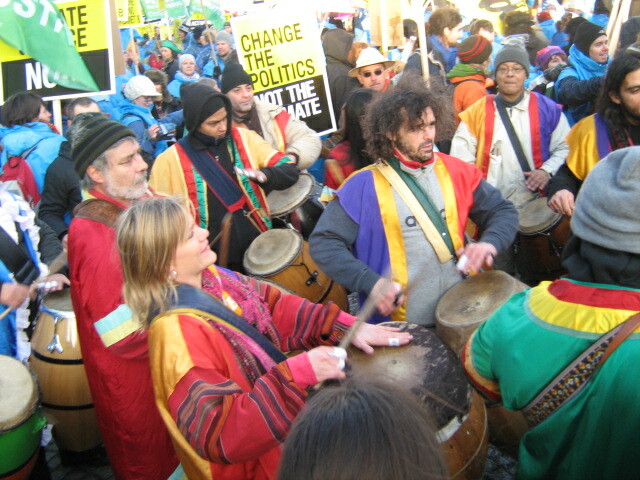 Klimaforum have some 6 people paid in the staff, the rest is volunteer work by 27 very small organizations that all have to carry out their own activities during COP15 as well. 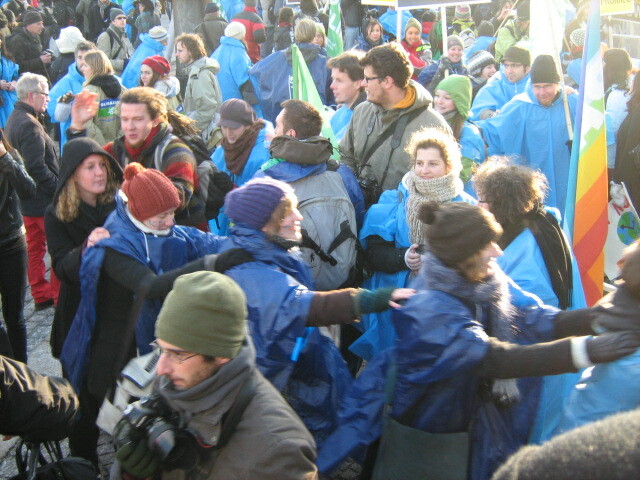 The big NGOs have chosen to put all their energy into lobbying inside the Bella Center instead or as the Conservation society with a total number of members equal to every tenth Danish inhabitant (ca.half a million members) to organize a big mass activity as a fair to promote ecological business and local initiatives 3-6/12. 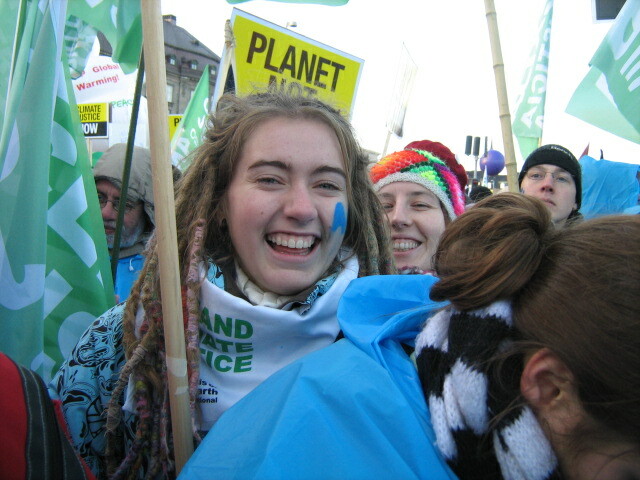 Attac Denmark have 200 members and in total 4 are active to prepare Attac activities during COP15 including taking a main reponsibility for carrying out Klimaforum. 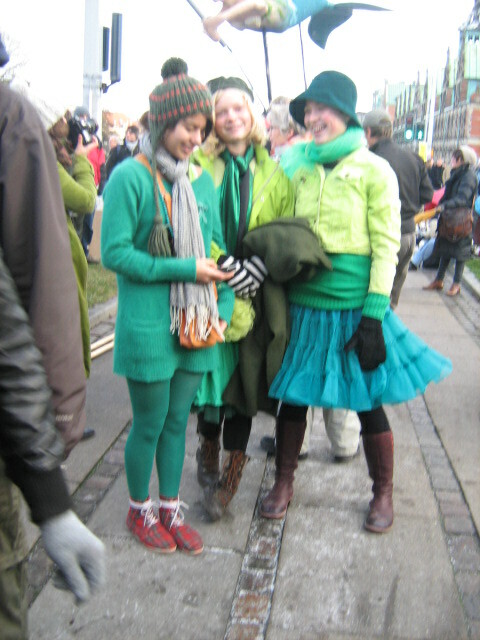 Besides doing the Attac Denmark activities and helping out with any Klimaforum responsibilities the four Attac Denmark members also have to take care of 500 visiting Attac Members from the rest of the world including lodging, social events, demonstration preparations and whatever there is. 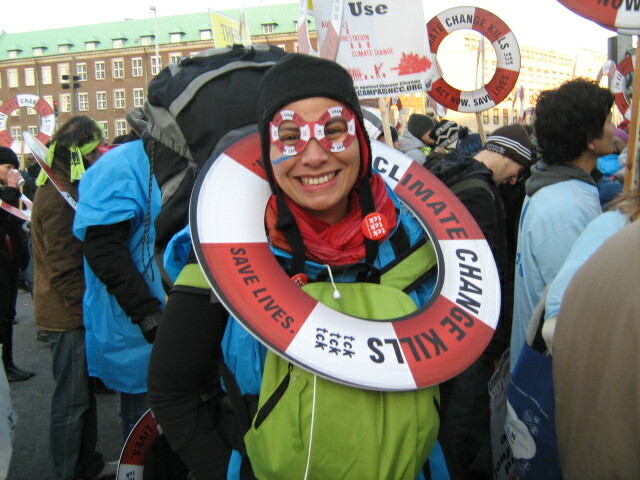 Attac Denmark is furthermore the only Danish formal organization so far which is not a loose activist network that has decided to support the principles behind the Reclaim Power Climate Justice action on December 16.